Lockheed Martin/YouTubeAn animation of NASA’s InSight probe attempting to land on the surface of Mars. 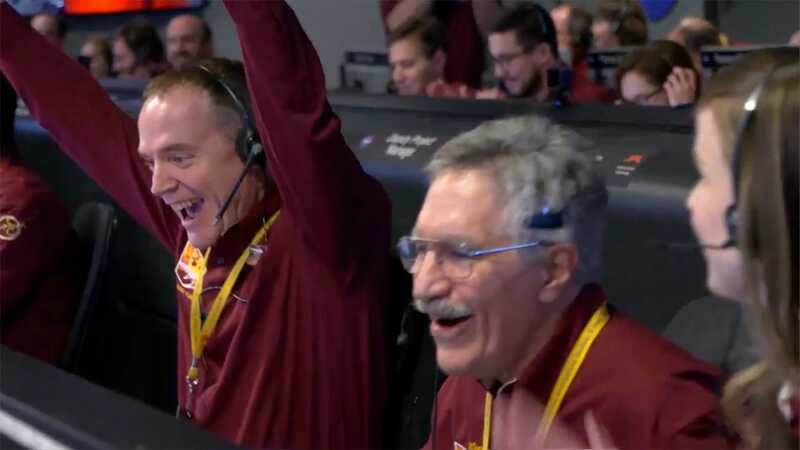 NASA’s Insight lander has landed safely. The robot will soon start beaming back information about quakes and wobbles on Mars. Mars doesn’t have tectonic plates like Earth, but learning more about how volatile the planet may be could help scientists better understand how Earth developed to sustain life. A former NASA chief says scientists are “drooling” for new data about the interior of Mars. InSight is on the ground. NASA just dropped an SUV-sized quake-hunting laboratory on Mars – the US space agency’s eighth successful landing on the red planet. The new solar-powered lander doesn’t move. It doesn’t record videos. 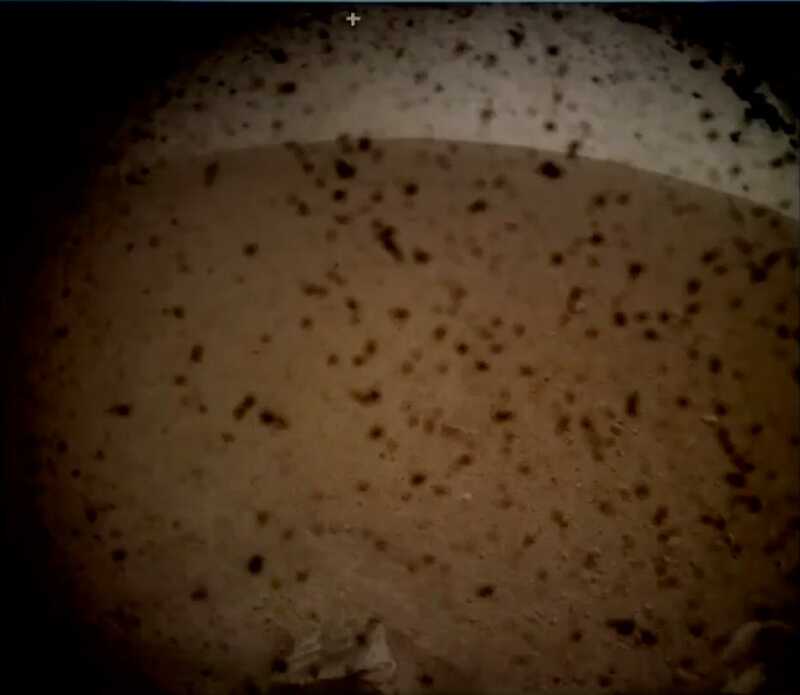 And of InSight’s two tiny cameras, one points straight down at the red dust. But that doesn’t mean it’s a boring mission. Now a consultant for National Geographic’s Mars series, Braun helped develop all of NASA’s previous Mars missions, including Curiosity – the selfie-snapping rover that’s roaming the Martian surface today. He said this new lander could help scientists find clues about what makes life on rocky planets possible. “There’s a whole group of scientists – a very large group of scientists – that are basically drooling to get more information about the interior of Mars,” he said. One big question those researchers want to answer: Is Mars still a dynamic place with quaking rumblings like our own earthquakes? Four billion years ago, Earth wasn’t so different from Mars or the other crusty globes of the inner solar system: Mercury and Venus. Then something happened that made Earth a nice place to live. “Our measurements will help us turn back the clock and understand what produced a verdant Earth but a desolate Mars,” Bruce Banerdt, InSight’s principal investigator, said in a recent NASA blog post. Braun described the mission in similar terms. The movement of tectonic plates is one of the processes scientists point to as key for the emergence of life on Earth. The continents and oceans sit on top of these plates, and tectonic activity can release life-sustaining materials like water, carbon dioxide, and methane that create a breeding ground for life. Mars doesn’t have such plates, but that doesn’t mean the planet is shake-free. So InSight is designed to sense and monitor Mars’ version of quakes. That data will be immensely valuable to Earth scientists, and it could also one day aid in the quest to put humans on Mars. “Understanding the interior of the planet, and what the resources are throughout the interior of the planet, would be important if you were going to one day have a human settlement there,” Braun said. NASA JPL/YouTubeThe first photo that NASA’s InSight Mars lander sent back to Earth on November 26, 2018. Mission control couldn’t have been more thrilled to see the lander plop down safely, some 140 million miles away. NASA JPL/YouTubeScientists and engineers inside mission control at NASA’s Jet Propulsion Laboratory celebrate the landing of the InSight Mars probe.